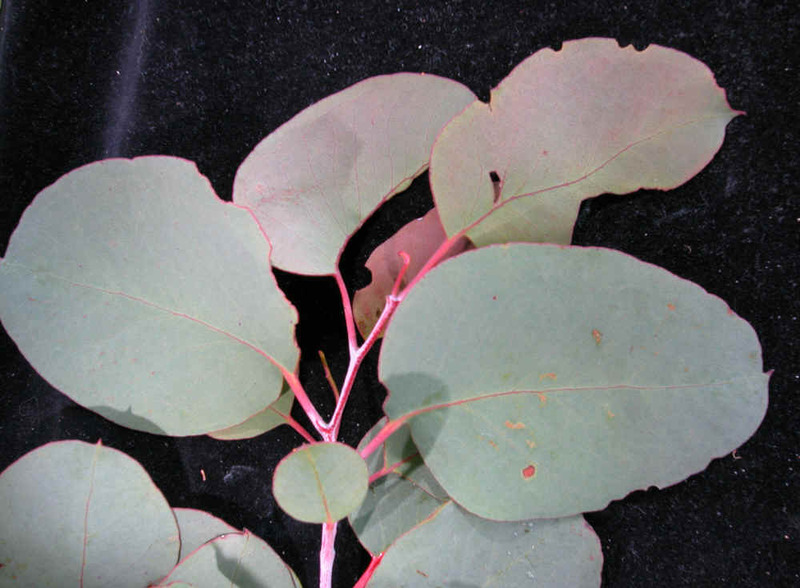 Eucalyptus delegatensis (gum-top stringy bark) is a common species in sub-alpine areas, where it can grow to be a massive tree. 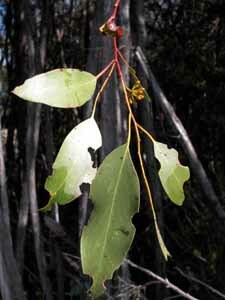 Like E. regnans and E. obliqua, the adult leaves are relatively large (often >10cm long and usually more than 3cm wide), and have asymmetrical bases. 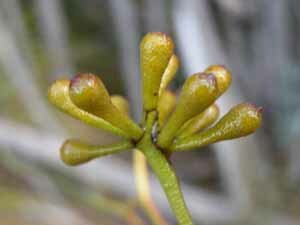 However, the juvenile leaves of E. delegatensis are nearly round and glaucous, whereas those other species have elongated, green leaves. 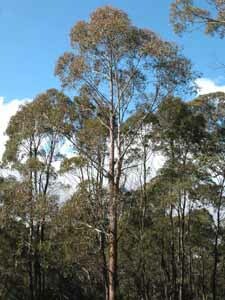 The trunks are covered in fibrous bark, but the main branches have only smooth bark (cf. 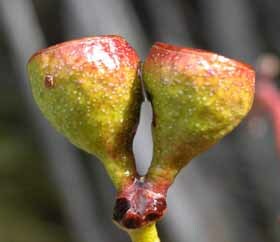 E. regnans, in which fibrous bark only reaches part of the way up the stem, and E. obliqua, which has fibrous bark on all but small branches).